Inder Loves Folk Art: Leprechaun shorts. Whew! The 7th Annual Golden Gate Singing was FANTASTIC, but I am still in recovery. I need another weekend to recover from my weekend and nurse this tickly cough that I've acquired. Unfortunately, I didn't get any photographs of my dress OR my apron OR my shoes OR the giant pot of macaroni and cheese that I whipped up for the singing. Apparently I was too busy actually singing (and, okay, eating). I've been trolling Facebook hoping someone else got a photograph ... I'll let you know. Cute shorts: Easy. Getting Joe to stand still for a photo: Not easy. Sometime after the apron, but before the singing, I made yet another pair of shorts for Joe, from yet another Oliver + s pattern, the Sketchbook Shorts. These are incredibly easy and fast, and I fully expect to bore y'all to tears by making a gazillion of them. This first pair is in a bright kelly green heavy-ish cotton (almost a light canvas). The pockets are "real" but the button fly is "mock." It's such a classic cut - it reminds me of British school boys with knee socks and red, scraped up knees. 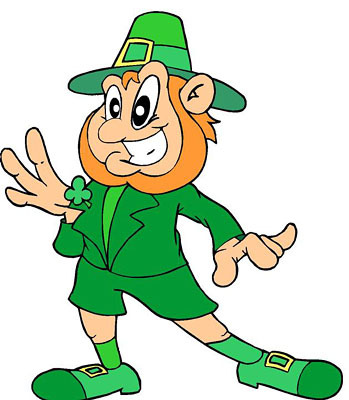 Although, in bright green, it has more of a leprechaun vibe. lovely! That's a great pattern isn't it. 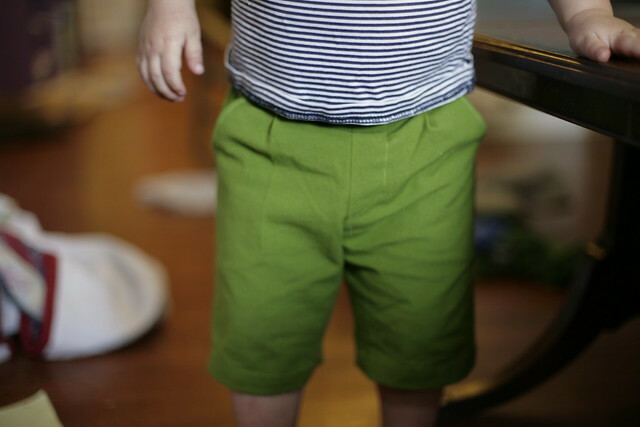 I find shorts often fit my boys for years - if they have a bit of elastic in the waist, they can just keep getting a bit shorter in the leg.